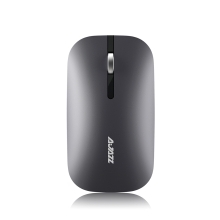 Ajazz I25T BT / 2.4G Dual Modes PC Laptop Gaming Wireless Mouse for Windows Mac OS Silent Mute Energy-saving Home Office It Can be applied in many Operating Systems, Compatible with Windows Mac Mute Switch, Low power technology and power saving design, reliable and durable. 2 AA battery(Not included)for a long time for 12 months. Accurate and easily control, to meet the daily office and entertainment.